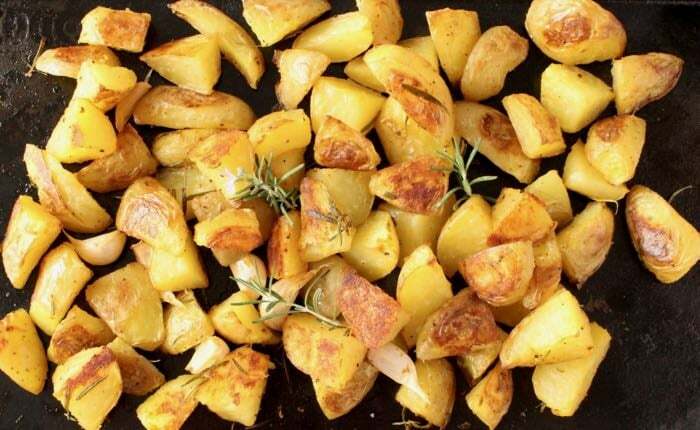 Roasted rosemary potatoes with garlic and a pinch of paprika – a quick, easy and healthy vegan side dish perfect for a Tuesday or your holiday table. The best you ever had! 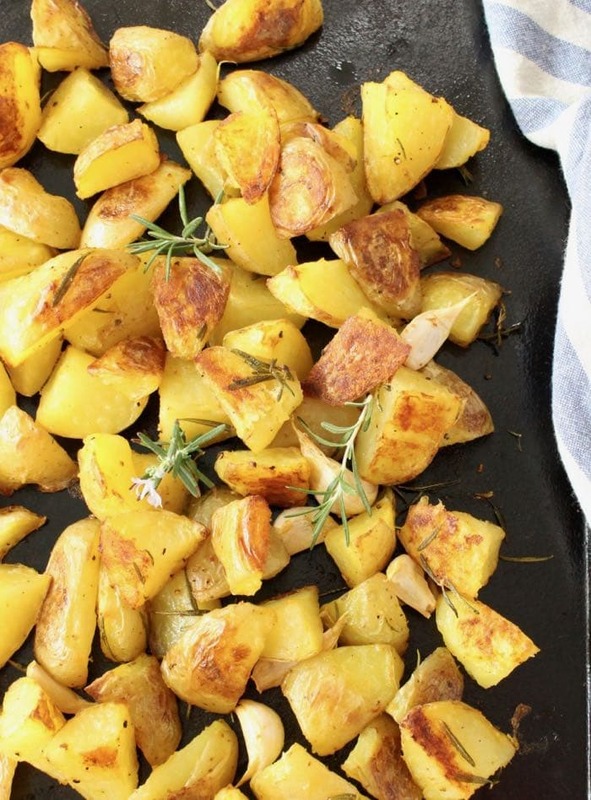 Two words: Rosemary and Potatoes! Can we even handle it ?! 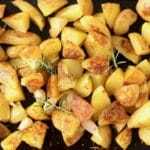 To best way to cook these Italian rosemary potatoes is starting with the stove top parboil method and finishing them in a hot oven, on a preheated cast iron skillet or tray until golden brown and crispy at the edges. At this point you can even smash them If you want a rustic dish, and sprinkle them with a bunch of chives and fresh oregano. Whatever rocks your taste buds at the moment. The idea here is to deeply season the potatoes in the first step, so it is important that the water you boil them in tastes like sea water, just like cooking pasta. 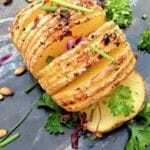 do not touch the potatoes while roasting, no stirring, no mixing, no flipping, just let them do their magic without any interference for about 20 minutes. I’m really fond of the golden variety but red potatoes would also work well here. Make sure to drain the potatoes well, and allow them to dry in the heat from the steam before coating in the olive oil mix to ensure they won’t stick to the pan. roasted vegetables: broccoli, brussels sprouts, carrots, asparagus etc..
As always, If you make these rosemary potatoes please remember to come back and rate the recipe, take a photo and tag us with #VeggieSociety on Instagram. Rosemary roasted potatoes with garlic and a pinch of paprika - a quick, easy and healthy vegan side dish perfect for a Tuesday or your holiday table. Preheat your oven with a large cast iron skillet or plate inside to 425” F for about 20 minutes. Rinse and scrub the potatoes well and cut them into quarters or eights if they are on the larger side. Transfer the potatoes to a large mixing bowl together with the garlic, rosemary, black pepper and the paprika. 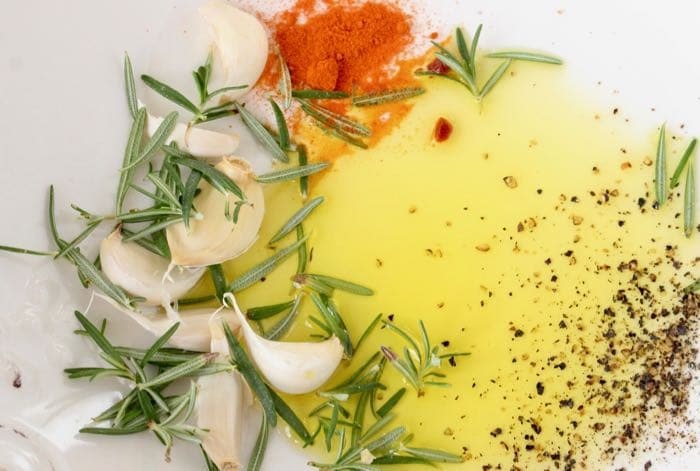 Drizzle with olive oil and gently toss to coat well all over. 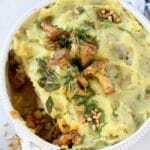 Very carefully open the oven and transfer the potatoes to the preheated skillet or tray in the oven in a single layer. Roast for about 20 to 25 minutes until golden brown. Use a spatula to scoop them out carefully not to break them. Serve hot! If you don't have a cast iron skillet or tray, just use your largest roasting pan lined with parchment paper or a non-stick silicone baking mat. However, the potatoes won't be quite as crispy as cooking them on hot cast iron. Use the same methid if making these oil-free. Hi, I wasn’t really sure how the garlic will flavor the potatoes since the recipe says to keep it in paper, but wow! These have to be the most amazing roasted potatoes I’ve ever made, that garlic flavor was incredible and I’ll need to make more than one batch next time. Thank you, I would have never believed vegan potatoes will be my favorite.